Asma Jahangir, UN Rapporteur for Human Rights in Iran and two other UN Rapporteurs have issued a statement expressing concern over the prolonged hunger strikes of a number of Iranian political prisoners and their possibly fatal consequences. In a joint statement on 9 January 2017 with her colleagues, Michel Forst; the Special Rapporteur on the situation of human rights defenders, and Roland Adjovi, the Chair-Rapporteur of the UN Working Group on Arbitrary Detention, Jahangir stresses that despite health deterioration of jailed activist such a Arash Sadeghi, the prisoners are not transferred to hospital for adequate medical care. 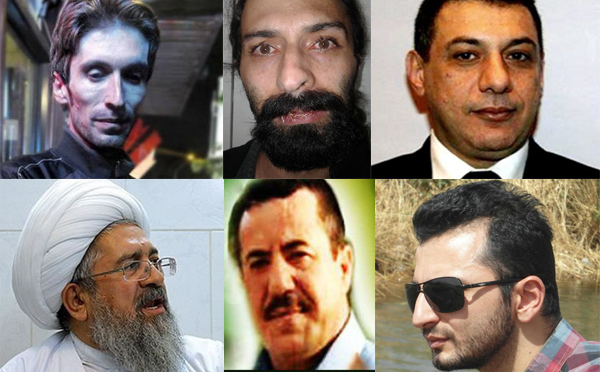 Jahangir lists Saeed Shirzad, Ali Shariati, Mohammad Reza Nekounam, Hassan Rastegari Majd, Mehdi Koukhian, Nizar Zakka, and Mohammed Ali Taheri among prisoners currently refusing food and languishing in Iranian prisons in critical health conditions. Arash Sadeghi has reportedly ended his hunger strike this weekend after the authorities agreed to his condition of allowing his wife, Golrokh Ebrahimi Iraee, another prisoner, leave on bail. The UN Rapporteur also draws attention to the critical health condition of Ali Shariati on hunger strike since October 31, 2016 and children’s activist, Saeed Shirzad who has been refusing food since December 7, 2016. Shariati is said to be serving a five year sentence for participating in protests condemning acid attacks on women. Jahangir reports that Mohammad Ali Taheri who started a hunger strike on September 28, 2016 is incommunicado since a reported transfer to Baghiatollah Military Hospital in October and adds that Hasan Rastegari Majd has been transferred to solitary confinement by prison authorities in reaction to his prolonged hunger strike.